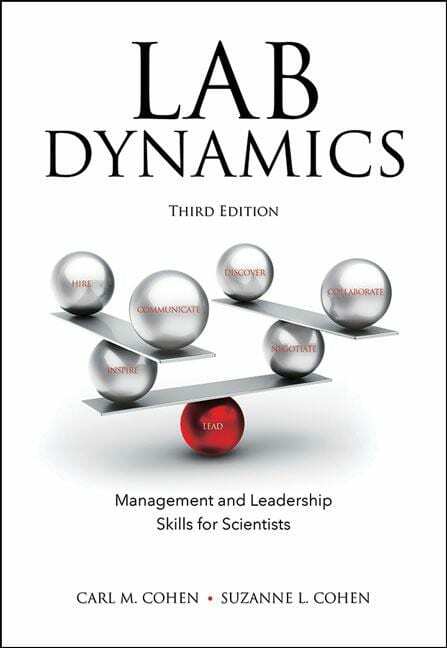 Cold Spring Harbor, NY — Cold Spring Harbor Laboratory Press (CSHLP) announced the release of Lab Dynamics: Management and Leadership Skills for Scientists, Third Edition, available on its website in hardcover and eBook formats. For this third edition, two new chapters have been added. The new Chapter 4, on hiring scientists, provides a data-driven approach along with step-by-step guidance and editable and downloadable forms for use in evaluating and ranking applicants. The new Chapter 6 gives a guide to keeping scientists focused and motivated through appropriate feedback. Scientists at all levels want and need to hear how they're doing from mentors, managers, or leaders. All other chapters have additional sections, many based on case studies and examples shared with the authors by working scientists. They include "Ten essential characteristics of scientific team leaders" with specific examples of each behavior and its impact. Please visit our website @ http://www.cshlpress.org to access free sample material and for further information on this title.